The overall trend of rising oil prices since 2000 has raised the price of asphalt and reduced its price advantage over concrete, but 93% of paved roads are still made of asphalt, according to the National Asphalt Pavement Association. On the other hand, the Portland Cement Association boasts that about 60% of the interstate system is paved with concrete. High traffic counts – particularly heavy truck volumes – make concrete a desirable choice because it simply holds up better under heavy loads. Hence the tendency for state departments of transportation to go with concrete on interstates. Roadway segments with high turning movements and stopping points also present some disadvantages for asphalt since it is prone to tearing under these stresses. But even this is not a black-and-white matter. Harder oils can be used in asphalt mixes to reduce rutting, but this can also make the asphalt more brittle. Likewise, the wrong oil in an asphalt mixture can lead to cracking in extreme cold and rutting in extreme heat. Asphalt provides a nicer, smoother, often quieter ride when relatively new. Concrete can be noisier because it is tined or broomed during construction to make it rough enough to provide good tire grip. And slight shifting and settling of the many slabs of concrete over time can produce that rhythmic ka-tunk, ka-tunk, ka-tunk sound motorists know well. Harsh winter conditions present some disadvantages for concrete. The darker asphalt pavement warms up as sunlight hits a plowed roadway, and Mother Nature helps melt away any snow left behind by plows. Salt used for snow removal also can eat away at concrete, so some municipalities opt for a no-salt policy for the first winter or two after a concrete road is built. Read about how high friction pavement treatments increase tire grip around curves during bad weather. Another geographic factor comes into play when the locally available aggregate that goes into a concrete mix has a high chert content. These chert pieces in the finished concrete collect moisture, and then during freeze-thaw cycles in the spring and fall the chert expands and pops out of the pavement, causing pock-marking. Simpler repairs: For counties and small villages, asphalt is attractive because these agencies have the relatively simple equipment that can accomplish patching when maintenance is necessary. Fewer repairs: Cities may opt for concrete because it provides for less frequent repairs and better strength under the crush of heavier traffic volumes. Stamping and coloring: In urban settings, concrete also offers clear advantages if stamping and coloring is desired as a way to increase safety at crosswalks or to generally enhance aesthetics. Roll and go: Clients also consider the construction process, in which asphalt is ready to drive on as soon as it is compacted by a roller. 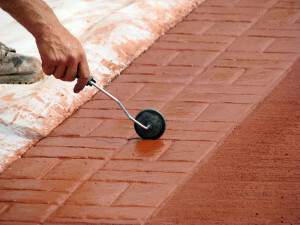 Concrete typically must cure for seven days after pouring. High-early-strength concrete varieties offer a one- to three-day curing period where shortening construction inconveniences is critical. Ultimately cost is a primary consideration, and DOTs look at the life cycle cost over 50 years when comparing the two pavement types and their relative costs initially and in terms of maintenance. 1. Joint repair or joint repair and diamond grind. 2. Joint repair and diamond grinding or joint repair and hot mix asphalt overlay. 3. Joint repair and hot mix asphalt overlay. 4. Reconstruction or pavement replacement including rubbilization. 1. Hot mix overlay or mill and hot mix overlay. 2. Second round of hot mix overlay or mill and hot mix overlay. 3. Third round of hot mix overlay or mill and hot mix overlay. 4. Reconstruction or pavement replacement including pulverization. In 2002 the Colorado DOT placed both concrete and asphalt on Powers Boulevard in Colorado Springs to determine the pros and cons of each pavement while each is exposed to the same weather, soil, and traffic conditions. The northbound lanes were paved with concrete and the southbound with asphalt. The 15-year study should produce some conclusions next year. In the meantime, we give our clients as much information as we can to help them make sound paving decisions. 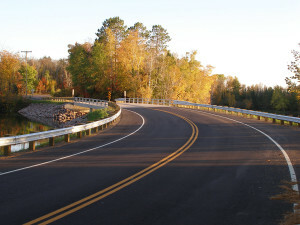 The Village of Lake Hallie, Wisconsin, just decided to go with asphalt after soliciting both concrete and asphalt bids for its 2-mile-long reconstruction of the heavily traveled Business USH 53. The low bid for asphalt was $4,697,551.44, and the lowest concrete bid was $5,473,218.58. The Village based its decision largely on the nearly $700,000 initial cost differential, along with the need to go with salt-free snow removal for one or two winters after construction if it had gone with the concrete option. 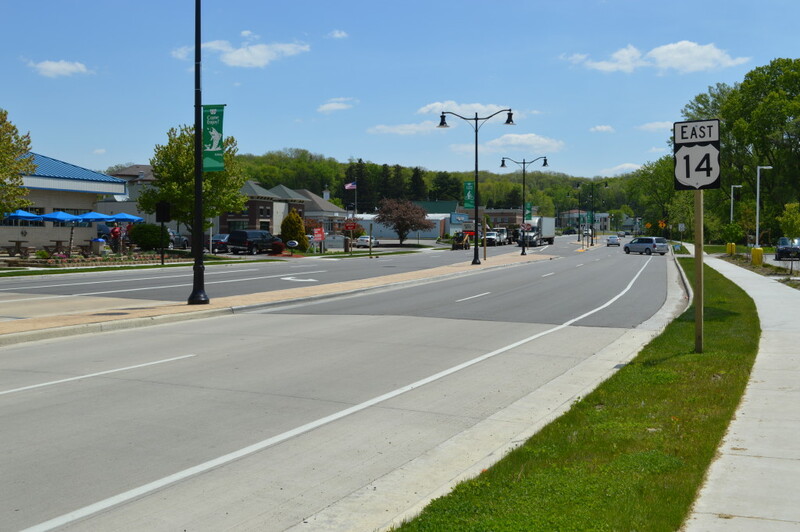 The Wisconsin Department of Transportation and the Village of Cross Plains opted for some concrete pavement and some asphalt pavement on the recent USH 14 reconstruction project stretching more than 1 mile through the Village, pictured here. The pavement choices were mostly aimed at achieving the most aesthetically pleasing look for the downtown area. If you have questions about making the concrete vs. asphalt decision, contact transportation engineer Andrew Dana. Since concrete hates salt,how about all states south,with little or no snow use concrete.I relalize you like to keep people working,and money going round in a circle with big industries making big profits. Do the concrete,get rid of headache,find other ways to make big industries money. Hey Andrew, I was doing some research on what to write about for our blog, and the asphalt vs concrete pricing question had not occurred to me, so the idea was much appreciated.. I ended up doing a cost guide for just asphalt in our local area, but I plan on answering the “which one do I get?” question later. Regarding the Village of Cross Plains, that’s a creative idea, but it seems a bit odd because now half the road is going to deteriorate faster, specifically in the area where the asphalt meets concrete. Am I wrong? The biggest factors can be summed up this way: The type of pavement should be based on traffic loading and maintenance costs. 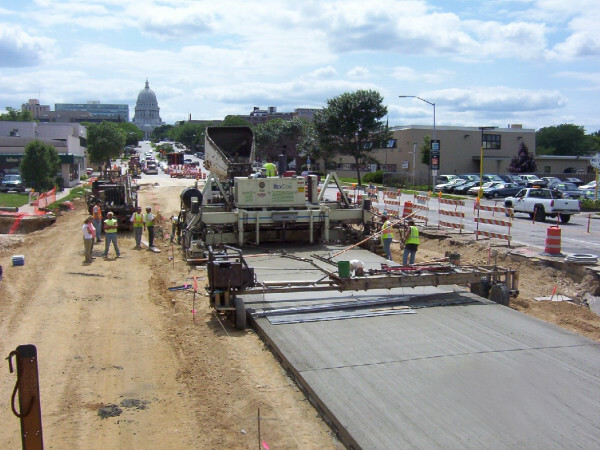 It is common to use concrete pavement in areas with higher traffic volumes, heavy trucks, and high turning movements. Asphalt is used in areas with lower to average traffic volumes and lower truck counts. Thanks for your interest in this topic, Tom. In Michigan they are paving with the black asphalt, they are not safe, when it rains or there is black ice you can’t see it because the road is so shiny anyway, and the lanes are marked with a very dull paint so at night you can’t see the lanes especially when it rains or sleets. This definitely doesn’t seem safe to me. There are trade-offs between concrete and asphalt, as you have identified. Asphalt initially has a very smooth surface and does not provide the textured surface as tined concrete does, thus improving traction. The benefits of concrete in identifying black ice would only be experienced during daylight, thus making this a less viable factor in pavement type selection. Unfortunately poor pavement marking is due to inadequate frequency of re-striping, which is often a budgetary issue. We appreciate your Michigan perspective, Teri. The cost of coloring concrete is prohibitive for large areas – approximately $80 per cubic yard of concrete. If not for the cost factor, the enhanced melting of snow and ice from darker pavement might be worthwhile. It’s interesting to note that in some areas of the United States, transportation officials are experimenting with painting asphalt pavement white to reduce pavement temperatures and improve the quality of life in urban areas. Thanks for your question, Steve.